Originally developed for the Ludum Dare game jam, Babel is a charming and outlandish physics based VR puzzle game. As the God of temple-care and safety maintenance your role is to thoroughly check the stability of each unique and bizarre structure built before you. Using an arsenal of divine tools and weaponry you need to carefully disassemble each tower, piece by piece, all while protecting your sacred totem. Since Babel’s origin we’ve been working tirelessly using the SteamVR technology to build a relentlessly entertaining immersive puzzle experience. With the ability to approach towers from any angle, you’ll walk, jump and crouch while experiencing true one to one movement. Through the power of the HTC Vive you’ll truly feel like a titan, physically inhabiting Babel’s bright and stylised world. 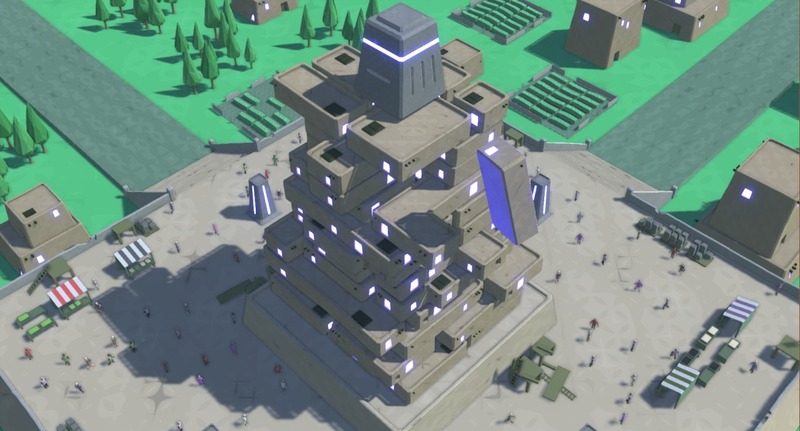 Babel will test your coordination and your wits as you as you battle physics itself to keep each tower from tumbling to pieces and crushing your worshipers below.